I’d like to say that I discovered Caught A Ghost through my own music hunting efforts, that there’s some cool backstory about how I came to be aware of their existence. 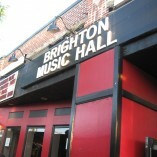 But the truth is simple and probably not very interesting: their publicist contacted me, asked me to review their upcoming show opening for Youngblood Hawke at Brighton Music Hall in Boston. Initially, he just linked me to a video of the band singing one of their songs in a van. Honestly, I wasn’t sure what to make of that. I’d never even heard of a “van session” before and it was kind of odd. Almost like watching a group of zealots singing some religious song en route to their cult’s secret church location on Sunday. So, I told their publicist I needed to hear some studio recordings and soon I was given their debut album, Human Nature, which turned out to be pretty darn impressive. It only took me a couple of listens to get completely immersed in the record. The eastern Los Angeles outfit’s songs like “Human Nature” and “Sleeping At Night” were immediately infectious. It was impossible not to get hooked. But they’re not a bubblegum pop band. No, this is sophisticated, mature — yet fun — music. Genre? Using the term very loosely, I probably would have to say pop, but there’s something deeper and richer to their sound. Something soulful. And, yes, almost gospel-like (at times), especially during tunes like “Time Go.” These elements were especially prominent in the band’s live sound as they hit the stage around eight and belted out a pair of veritable winners: “Can’t Let Go” and “Sleeping At Night.” I wouldn’t say a large percentage of the audience was singing along, but certainly a solid handful of them were. And those who didn’t know the songs, well, they got sucked right into them anyway. 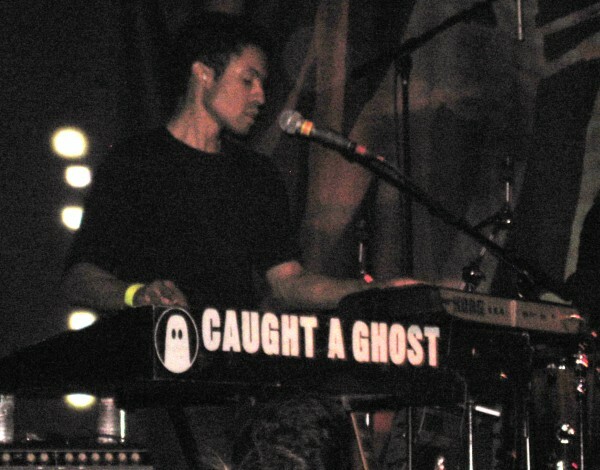 Unlike most bands, Caught A Ghost doesn’t make a big deal out of the guitar. It’s the saxophone that dominates most of their songs and, hot damn, can their boy play. His name is Tim McKay and the way he slays with the baritone sax, you’d think he was schooled by one of the great ’70’s sax players. You’d swear you were listening to the ghost of Clarence Clemons. Otherwise, you’ve got sonorous drums courtesy of Stephen Edelstein, serious keyboards by Brandon Smith, and the multi-instrumentalist frontman Jesse Nolan, who routinely alternates between pulverizing a bass drum and strumming the band’s sole guitar, all while singing like an Elvis and Johnny Cash hybrid, his voice mighty powerful when necessary and tender when it’s time for that. 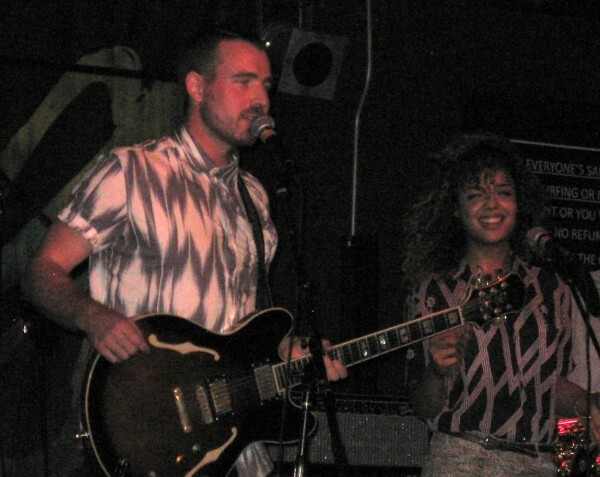 And then there’s the lovely female vocalist, Tessa Thompson, who provides backing vocals on each of their songs — along with some occasional lead — in addition to playing the tambourine. To be perfectly honest, I hadn’t noticed her much on the album, but live she was a key part of the band’s unique sound, so I hope they make her more prominent and even let her sing lead on a couple of songs on their next record. Among the other songs performed during their 45 minute set were the Amy Winehouse-esque “Human Nature” — you’d swear Mark Ronson was coaching them — and the “Get Louder,” the latter of which was like gospel gone berserk and had the audience cheering at full volume and clapping along as instructed by Nolan, who had the crowd eating out of the palm of his hand all night. Like a charismatic cult leader, but harmless. In all seriousness, Caught A Ghost roused the audience as much as any opening band I’ve seen during my three decades of concert going. At first you could tell that most of the people weren’t there to see them, but once they started playing they caught everyone’s attention and held it until they were finished. Should the band come back to Boston headlining their own shows in six months I’m quite certain that most of the people at the Youngblood Hawke show would come out to see them. Bravo to them, then.